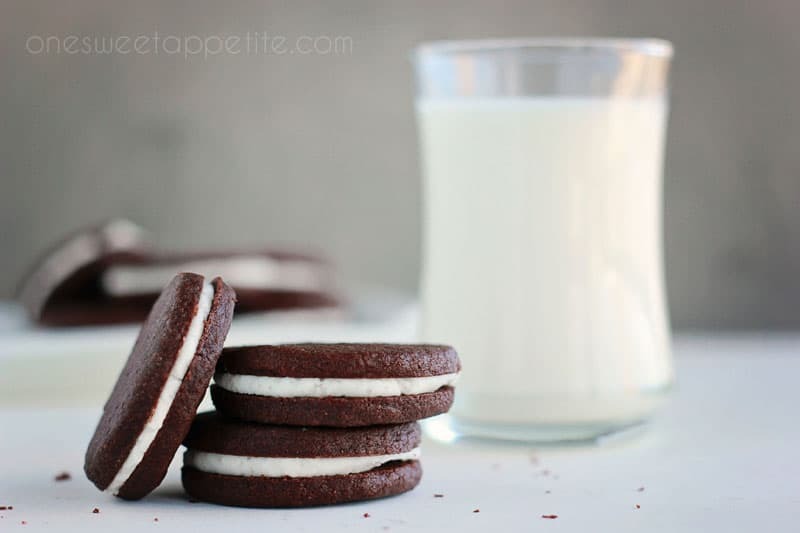 Copycat Oreo Cookies… Milks NEW favorite cookie. I knew it was only a matter of time before I gave in and gave these a try. 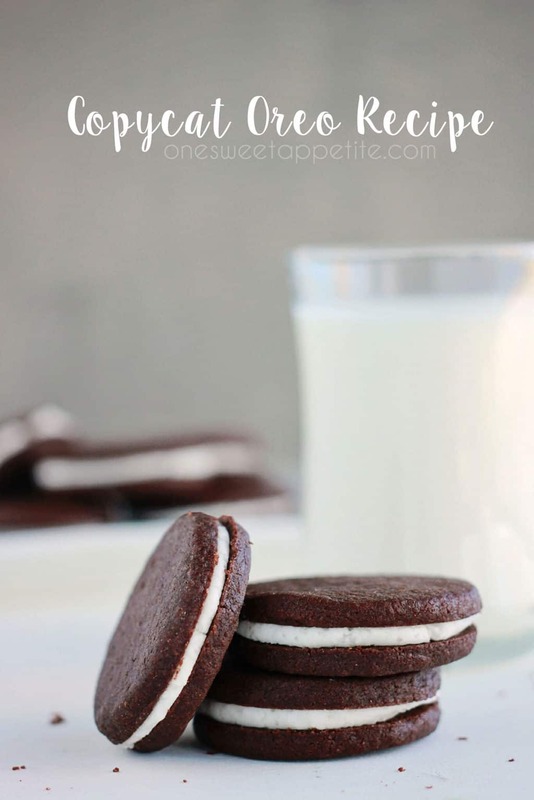 Oreo’s… Crunchy chocolate cookies filled with a sweet cream filling. Perfect for dunking in milk or eating all on their own. Also, a family favorite. I gave my husband two of those special Oreo dunking spoons for his birthday with three packs of cookies. Add those to the one he already owned and we are looking at THREE dipping spoons sitting in our drawer. Best investment ever if you have an Oreo fan in your home. Soggy milk fingers are a thing of the past! 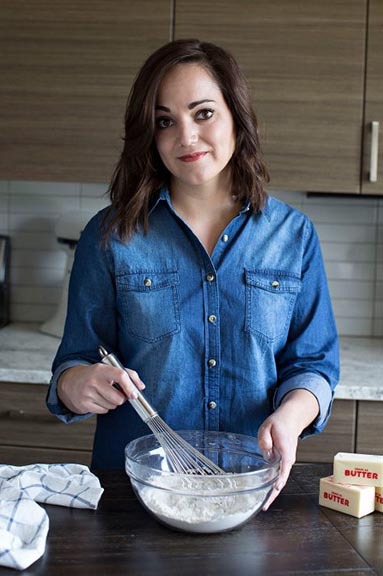 But back to this recipe… I actually tried out a few different versions before I got to this one. It is actually a combination of three recipes that I tested. I took all o the components I loved and combined them into one amazing cookie. A true Oreo consists of crunchy cookies with the sweet (but not too sweet) filling. All of that leads to Oreo perfection. These are definitely a milk cookie. Make sure you have got a glass on hand to help wash things down. Eventually I plan to try a vanilla or even strawberry version. I’m sure both will taste equally as delicious. For the Cookie: Preheat your oven to 325 degrees. Line two baking sheets with parchment paper. Cream together the soft butter with both sugars until fluffy. Slowly whisk in the vanilla and melted chocolate and mix until fully combined. Stir in the egg. Fold in the dry ingredients until incorporated. Turn the dough out onto a lightly floured surface. Roll ¼ inch thick and cut into circles. Place on your prepared trays and bake 12-14 minutes or until the edges are slightly curled. Cool completely. For the filling: Beat your butter with an electric mixer until fluffy. Slowly incorporate the powdered sugar, vanilla, milk, and salt. Whisk until light and fluffy. Spread 1-2 teaspoons of frosting onto one cookie. Push a second cookie down to sandwich and enjoy. You and me both. I think it’s easier to buy them but more fun to get into the kitchen! Can these be rolled into log, sliced, and baked? Yes, you definitely could. I might have to give this another try using that method. I recommend chilling the dough in the log before slicing. Would you just take away the chocolate if I wanted to try making golden, (vanilla), Oreos or would I have to add something else? I don’t think it would work out the same but stay tuned! You have inspired me to work on a golden oreo recipe.